This battery normally ships via USPS Priority mail, with expected* delivery time of 2-4 days, unless destination is within faster UPS delivery area. Odyssey (Drycell) batteries are military grade batteries and have endured rigorous tests that demonstrate their overall ruggedness and exceptional tolerance of mechanical abuse. The Odyssey battery offers higher cranking amps and additional reserve capacity as compared to the stock battery. Adding water is a thing of the past, and corrosion will cease to exist. A couple of other great attributes are vibration resistance and low internal discharge rate, thus offering physical endurance and superior off-season storage potential. A life span of 5 plus years can be expected if the Odyssey is fully charged and stored in the non-use season. 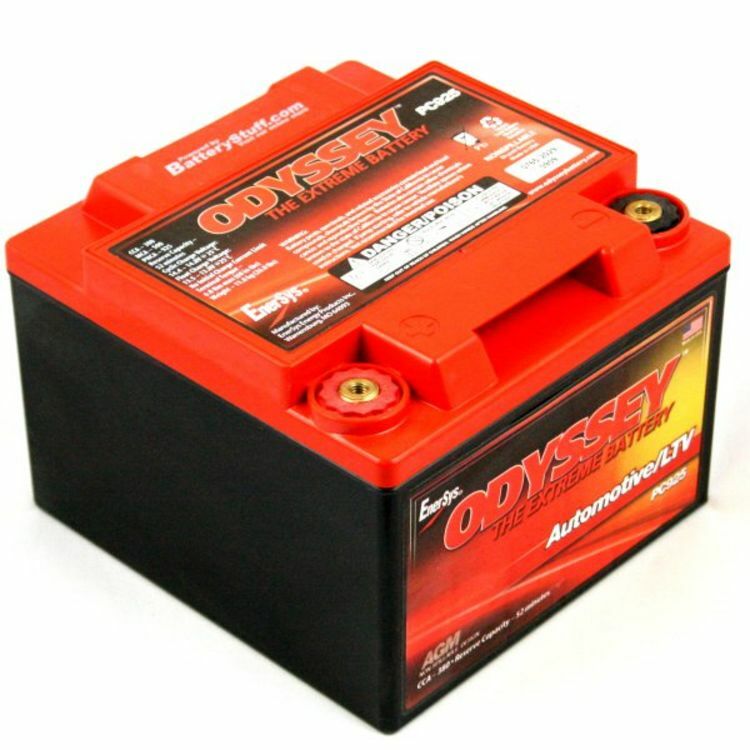 An unbelievable 2 year warranty is standard on this Made in the USA battery. *BatteryStuff understands the importance of getting a replacement battery right away and usually ships all batteries the same day as ordered if recieved before 1:30pm(pacific), however USPS does not guarantee delivery times with priority mail. 2-3 year Warranty - Determined by Application. See Warranty Terms below. 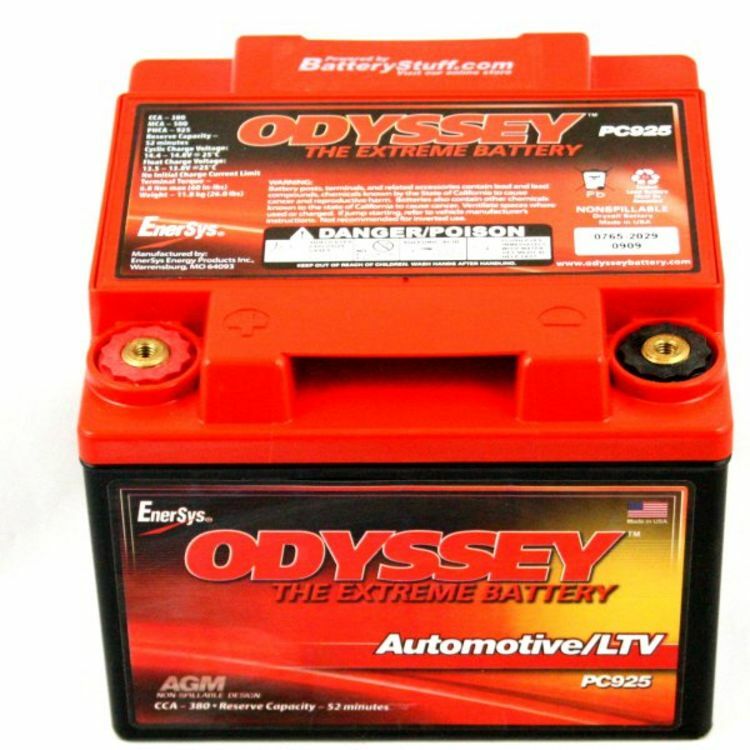 CUSTOMER NOTICE: In most Power Sports applications this battery mounts just as seen in the picture. 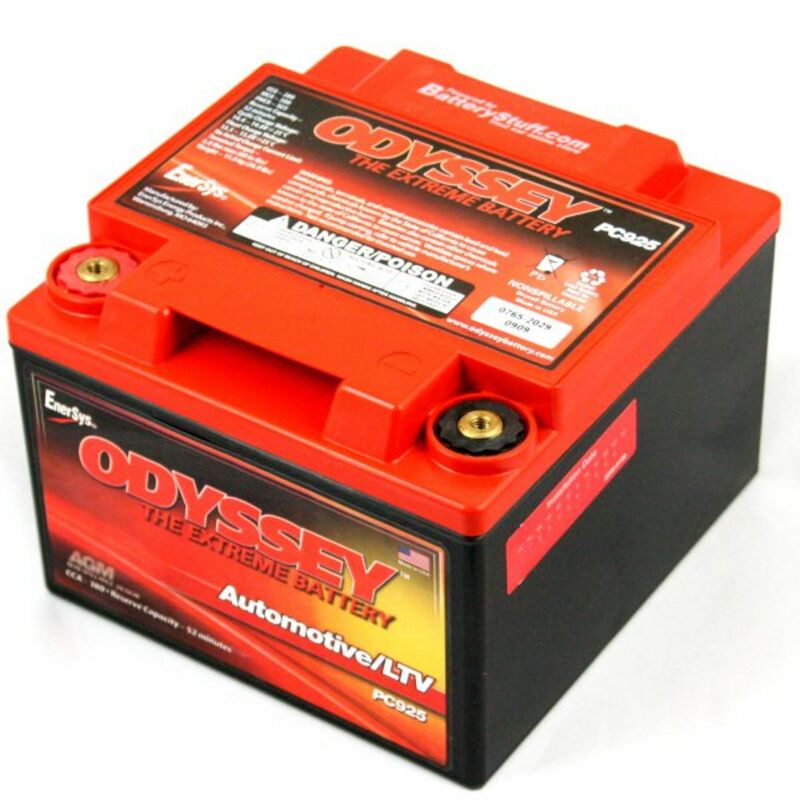 Odyssey is the best battery you can buy, offering the most cranking power available of any battery its size, a whooping 900 amps for 5 seconds when full charged. The physical case size of the PC925L was designed for military applications and may not be a perfect fit for your application as it is sometimes a bit smaller; but more powerful; than the original battery. In some applications minor cable modifications maybe required. OA-pair These are screw in terminal adapters for an Odyssey Battery. This gives you the ability to use automotive style connections. Warranty: 2-3 year Warranty - Determined by Application. See Warranty Terms below. Do you own the PC925L? Please, tell us what you think about it. It helps us provide you with better products. Please note that it may take up to 72 hours for your review to appear. Pros: Ordered a pc925L for my Polaris ranger and it failed after 15 months. Called Batterystuff and was told to send it back and they would check it and ship me a new one. Best customer service I have ever had! I would not purchase a battery form anyone else, best price and hassle free great customer service.